Jumpsuits are experiencing their greatest popularity since the 70’s, and while we were both a bit skeptical at first, we have to admit we’re converts. 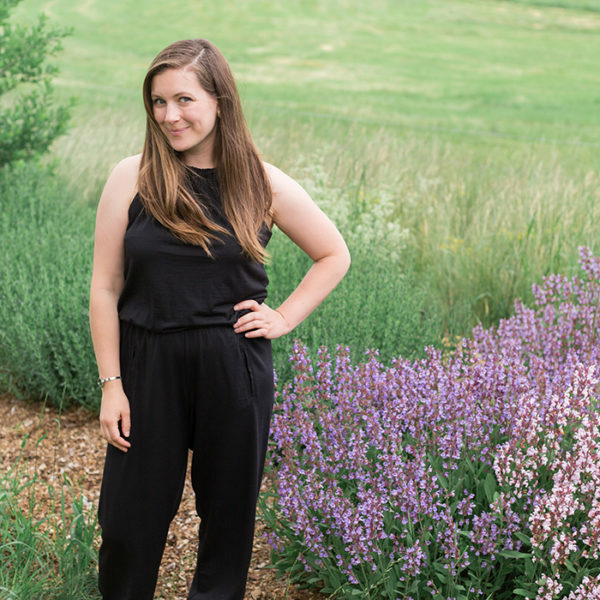 Not only have we fallen in love with this linen wrap jumpsuit from Studio 412, but the merino jersey jumpsuit from Rambler’s Way is one of the most comfortable items in my closet. When I first walked into the shop I was cautiously intrigued by the concept of wool as a next to skin fabric item. I worried that it would be itchy and had concerns it would be too hot for a summer day. What I learned is the wool buffers your skin from elements, such as moisture, and it is breathable. So it’s cool in the summer (I wore this wool jumpsuit throughout the 90+ degree heat wave over the 4th of July and was amazed by the degree of comfort my Maine-Born-Body was able to achieve despite the sweltering heat), warm in the winter (personal experience is tbd, but… come on… it’s wool), wicks away sweat, and it doesn’t allow bacteria and odor to build up (much like my wool Allbirds that I hold so dear). The last bit about being antimicrobial is key. Eliza Chappell (the Women’s Wear Designer at Rambler’s Way) says you can wear any of the wool items for one to two weeks before they require washing. As a mother of two, this is music to my ears. ANYONE who is capable of reducing the laundry load in my household should frankly be anointed. I would also like to add that my jumpsuit did not smell in the slightest after the outdoor sauna I experienced over July 4th (and again now in late August! ), and I wore it again a few days later… without washing it… magical! 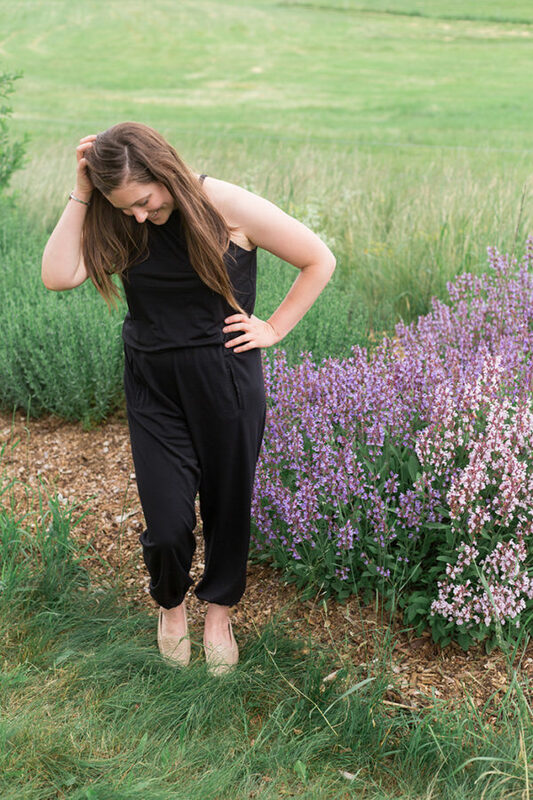 The jumpsuit pictured here is the standard black option, but when I purchased mine I took advantage of the custom order feature Ramblers Way offers. 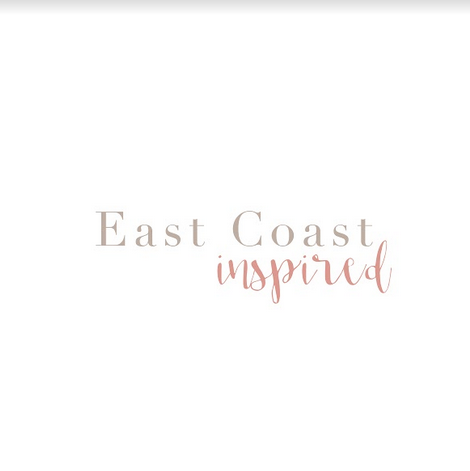 Since most things are manufactured right in Kennebunk, it’s very easy for them to make any item to your specifications – at no extra charge! The standard leg length was too long on me, so I ordered my jumpsuit with the inseam taken up 4 inches and I selected a midnight blue fabric. My custom jumpsuit was ready in 2 days and I headed off to my holiday get away with a perfectly fitting outfit that required absolutely no thought. 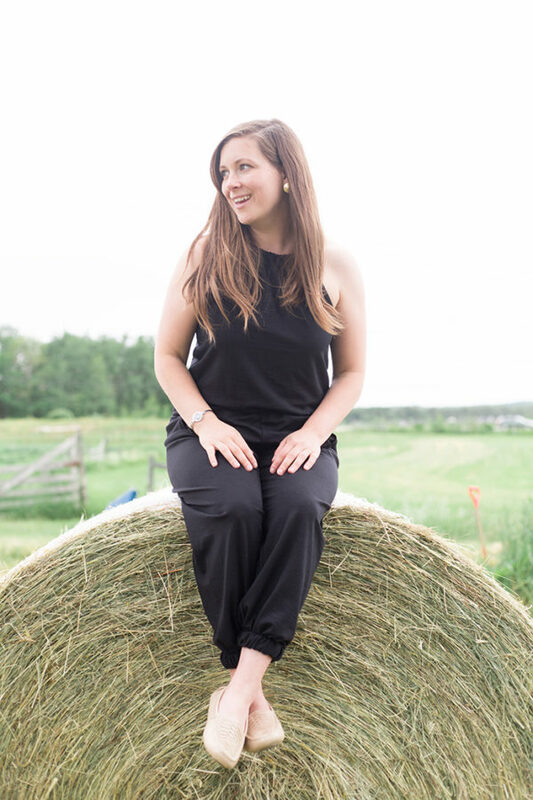 We can’t say enough good things about the versatility of this merino wool fabric, and the ease and versatility of a well made and flattering jumpsuit. Here’s hoping this trend sticks around!